I spent two weeks volunteering at a school in Csikszentsimon, Romania. If anyone is interested in reading about my experience, I will post a link to my entry on the organization's blog as soon as I finish writing it. My original plan was to visit northeastern Romania after I finished teaching. I wanted to visit the painted monestaries of Bucovina and then take a tour of the villages in Maramures. When I realized it would take about 20 hours to get there and back, that I would have to hire a car and driver, and that it was in the opposite direction of where I needed to be in October, I decided to visit Brasov, Sighisoara, and Sibiu - the three major cities in Transylvania - instead. I was in Brasov for two weekends. I spent one day with a group from my hostel visiting Bran Castle, Rashnov Fortress, and Peles Castle. Bran Castle markets itself as Dracula's Castle* and there are an overwhelming number of souvenir shops and restaurants. There were so many people it was difficult to see anything inside and what I did see was not that impressive. Peles Castle on the other hand was absolutely fantastic - one of the highlights of my trip. Since I spent the Jewish holidays in the village, I went to services at Brasov's synagogue on a Saturday morning and managed to visit two craft fairs and do some hiking when it wasn't raining. 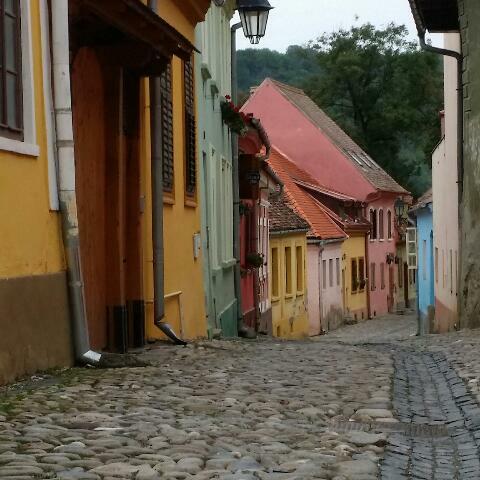 My next stop was Sighisoara - a beautiful town with the best preserved citadel in Europe. I stayed inside the citadel walls at a really nice bed and breakfast. Unfortunately, it was cold and raining but the clock tower and history museum were great and it was interesting to walk around and see the buildings and houses. Sibiu was the European Capital of Culture in 2007 and there is a music or art festival almost every weekend. I was there for the Opera Festival and saw the Sound of Music as performed by a Romanian opera company. I'm not a huge fan of the Sound of Music but it was a wonderful production and as always, Gretl stole the show. Sibiu is a great city for walking and the weather was beautiful - I got to put away my down jacket and really enjoy the city. The easiest way to get to Sarajevo is to go from Belgrade and the easiest way to get to Belgrade is to go through Timisoara, Romania. 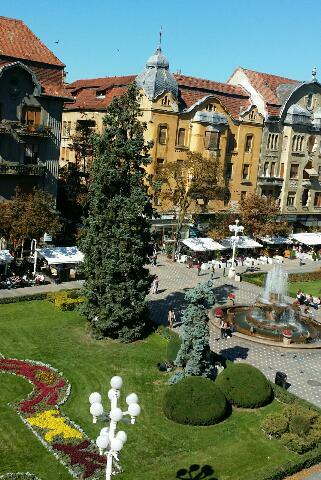 Timisoara is a beautiful city with lots of parks and a fantastic art museum. Timisoara has submitted a bid to be the European Capital of Culture in 2021 and two of the three largest squares are in the process of being torn up, renovated, and re-cobblestoned. My hostel was located on the square that was not being renovated and I spent a lot of time people watching by the fountains. *Bran Castle supposedly looks most like the castle described in Bram Stoker's Dracula. Stoker never visited Romania. • One bathroom is not enough for a hostel with 12 beds. 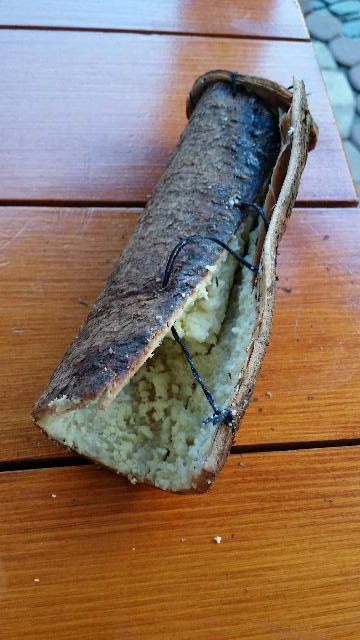 • Romania has tons of bakeries that sell a wide variety of covrigi, thin pretzels with sesame, poppy seed, or pumpkin seeds, and gogosi, donuts filled with everything from chocolate to feta cheese. The most expensive varieties cost 75 cents. • I really dislike pigeons, especially when they are inside the same building as my hostel and I have to walk around them when I'm using the stairwell. •It is possible for human beings to survive on a diet of covrigi and gogosi. Your photos are marvelous. Now I really want to go! Thanks for sharing. Thanks and thanks for reading! I think you guys would love Romania. There are a lot of hiking and biking opportunities.